AddressThe address for this sale in Hinsdale, IL 60521 will no longer be shown since it has already ended. 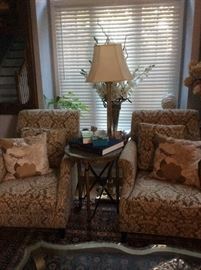 This sale in Hinsdale, IL 60521 is a "By Appointment" sale. Please see sale info below for details. All Items are Available for IMMEDIATE SALE Through SQUARE Credit or Debt Card processing. TEXT for any questions on items. YOU CAN ALSO PUT IN AN OFFER ON ANY ITEM SHOWN? You may purchase any Item pictured you see in the PHOTOS by calling the number above. 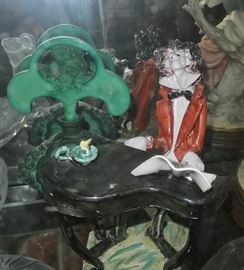 All Appointments for viewing any of the items are to be made on the designated DATES AND TIMES set up for ON SITE Sale. All appointments will be for 30 minuets. PAID Items must be picked up within 48 HRS. 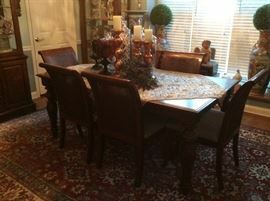 #3 Restoration Hardware Dining Set ( 8 Chairs) 6 Side Chairs & 2 Side Chairs 1 Leaf $2500. #5 Z Gallery White Leather Chair. $500. Ea. 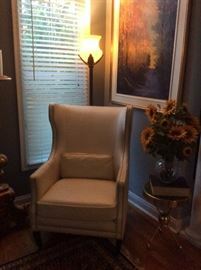 #7 Pair of RESTORATION HARDWARE Chairs $450.ea Maitland Smith Marble Top and brass legs $400. #15 Hand Carved. 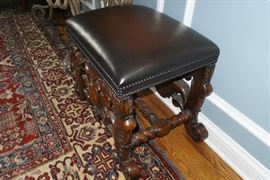 Piano Bench Leather top. $500 Hand woven Persian Rug 10 x 14 $1500. 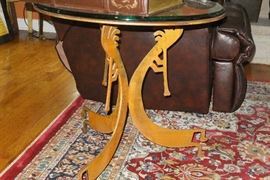 #19 Hand Crafted Copper Table / Kokopelli $450. #22 Asian Antique / Hand Carved wood Plaque 36"L $450. #27. Heavy Metal Sculpture $200. 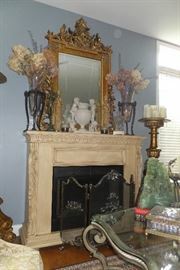 #28 Large Italian Sculpture Pair of DOVES $500. #29 Large Whale Bronze Sculpture $300. #31 METAL Art from Tahiti / Signed by ARTIST 2.5ft x 4 ft. $750. #33 19 century Pair of MAJOLICA PEDESTALS / Plant Stands Very Heavy. $500. 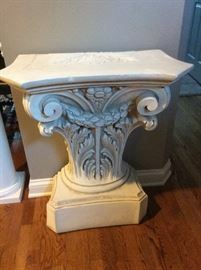 #34 Italian Sculpture 16" long Marked Italy $350. 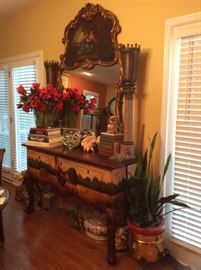 #36 Large Print under glass FABULOUS ANTIQUE FRAME. $500. #41 Oil On Canvas French 24x36 $1100. #43 REMINGTON Museum size all the markings $800. Books included. #46 Oil On Canvas $550. 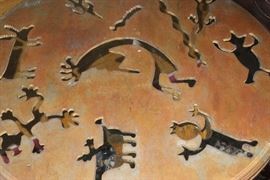 #47 Oil on Canvas - A. Kreutzer listed artist - price $800. #49 Leather Bernhart Sofa Great wear marks / No tears $800. 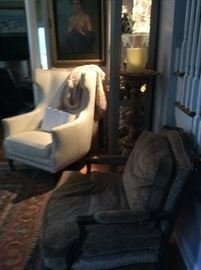 #58 Pair of Restoration Hardware Chairs Deep Seating $900. #45 Oil On Canvas 30" Oval $350. #54. Persian. Hand knotted. $1500. #55. Hand knotted Persian. $1500. #56. Restoration hardware Hand knotted. 10 x12. $1500. #57. Persian hand made $1500. #73 Persian Rug Beautiful Colors $1500. #63 Italian Pottery Ceramic Pots/Vases Hand Painted $500. #64 Large Painting under Glass 3ft x 4ft $550.